Activists have been challenging Sackler family money in cultural institutions for some time, and in the last few weeks, some of these major galleries and museums have followed their lead, rejecting donations from the Sackler trust. Now, the trust – which is a major patron for the arts, healthcare, and education in the UK – has announced it will halt any new donations. The Sackler Trust is a philanthropic branch run by the Sackler family, which owns OxyContin manufacturer Purdue Pharma, the drug linked to the US opioid crisis. More than 115 people die every day in the United States from opioid overdoses, with an estimated 80 per cent of people who are on heroin first using prescription opioids. Between 2016 and 2017, overdoses increased by 30 per cent. Purdue Pharma is currently embroiled in multiple lawsuits in the US for its part in the crisis, investigated for knowingly misleading consumers about how addictive OxyContin is, and profiting from marketing that misled doctors into potentially over-prescribing it to patients. According to the Guardian, the trust will temporarily freeze all philanthropic donations so the current issue “will not be a distraction for institutions that are applying for grants”, though any financial commitments already made will continue. Theresa Sackler, chairperson of the trust, said in a statement, speaking for trustees: “I am deeply saddened by the addiction crisis in America and support the actions Purdue Pharma is taking to help tackle the situation, whilst still rejecting the false allegations made against the company and several members of the Sackler family. Last week, it emerged that the National Portrait Gallery turned down a £1 million grant from the Sackler Trust. The National Portrait Gallery is the first major British art space to do so. Following this, the Tate group announced it would no longer be taking donations from the Sacklers. Over the years, the Tate Modern has received £4 million from the trust. Nan Goldin, the revered artist and a survivor of opioid addiction, has been challenging Sackler money in art with her activist group PAIN. 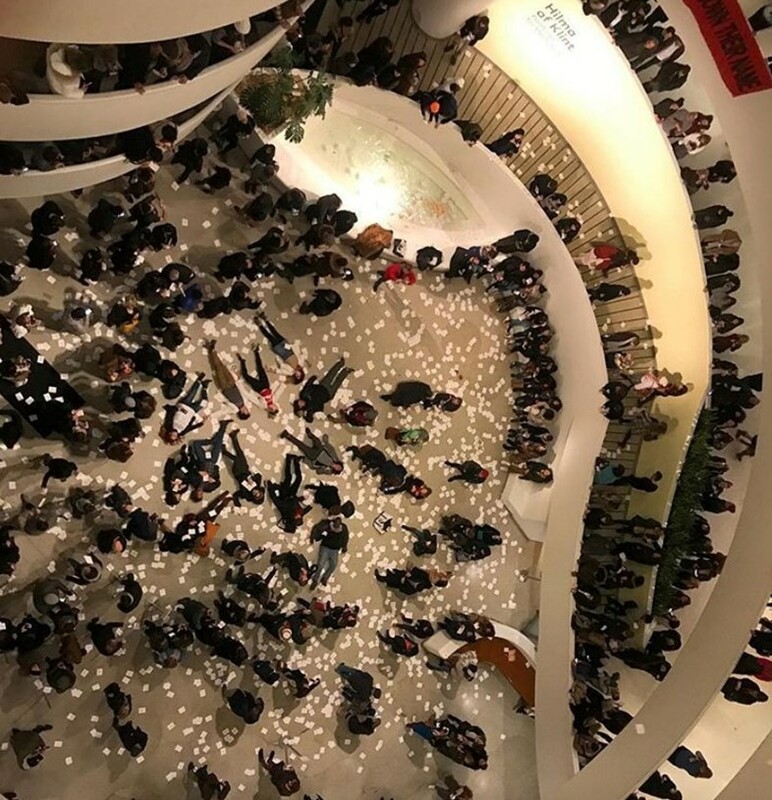 The group has protested at the Guggenheim, Harvard, the MoMA, and others. Goldin told the Guardian that she planned to “create chaos” at the Tate had the institution continued to accept Sackler money, as Goldin has an upcoming, year-long exhibition there. Goldin told BBC Radio 4: “I would appreciate the news if I heard that their money was going to pay reparations for the people whose lives they’ve ruined and the communities they’ve destroyed. Art institutions have seen waves of direct action across the last year, from Art Not Oil’s challenge to British institutions sponsored by oil companies like BP and Shell, to the work of Art Space Sanctuary and Decolonize This Place against private prison investment.